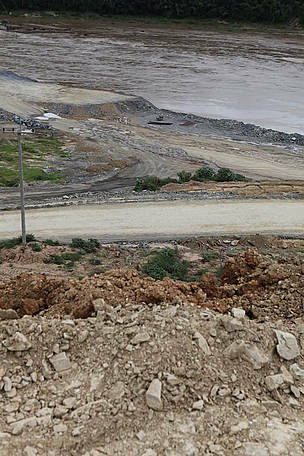 Construction work is marching ahead at the Xayaburi dam site in northern Laos and risks making a mockery of the decision last December by Mekong countries to delay building the dam on the Mekong mainstream pending further studies on the impacts of the controversial project, warns WWF. Hanoi, Vietnam – Construction work is marching ahead at the Xayaburi dam site in northern Laos and risks making a mockery of the decision last December by Mekong countries to delay building the dam on the Mekong mainstream pending further studies on the impacts of the controversial project, warns WWF. An international delegation of ambassadors, donors and NGOs, including WWF, attended a meeting with the Laos government last week to listen to presentations about the project and inspect the dam site at Xayaburi. The meeting followed mounting concerns and protests about land clearing and construction work underway at the site. According to Mr. Viravong and Ch Karnchang, the Thai developer of the $US3.8 billion project, the dam is going ahead as per their initial plan, with any alterations to be carried out as the build progresses. The site visit followed mixed messages about the status of the dam. Laos’ Foreign Minister confirmed at a recent meeting hosted by US Secretary of State, Hillary Clinton, that the project was suspended, while Ch Karnchang’s chairman, Aswin Kongsiri, claimed they had scheduled time for possible delays but expected to finish on target in 2020. “Laos is hoping neighbouring governments will be won over by their verbal commitments to mitigate the dam’s impacts before they fully understand what the impacts will be,” added Dr. Meng. The delegation visiting the site heard presentations from Pöyry, the Finnish water consulting firm advising Laos on the dam engineering. Pöyry reported that complementary studies were underway and would be on-going until the end of 2012, and concluded that the project will have no unacceptable negative effects. Pöyry drew heavy criticism last year when they advised Laos that the Xayaburi project should go ahead despite their own review stating that additional baseline data on biology, ecology and livelihood restoration is needed, as well as improved knowledge concerning the proposed passes for migrating fish. More than 700 species of fish ply the Mekong’s water, including the iconic and endangered Mekong giant catfish. Delegates visiting the site also heard a presentation from Compagnie Nationale du Rhône (CNR), a French company that Laos hired to provide further analysis. 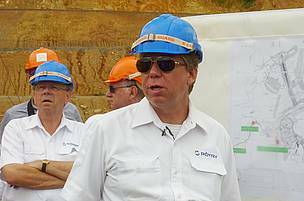 CNR had issued a report describing possible ways to pass sediment through the dam. However, the report is based largely on theory that has never been used successfully in the Mekong region and CNR themselves conclude that further data needs to be collected to confirm the feasibility. The Lower Mekong, one of the world’s last large untamed stretches of river, supports nearly 60 million people with its rich fisheries. In order for migratory fish to move up and down the river they would need swim through the dam via the proposed fish passages. As the first dam project to enter the Mekong River Commission’s (MRC) formal consultation process, the Xayaburi dam will test the MRC’s effectiveness, and the consensus decision reached by Ministers will set an important precedent for 10 other dams proposed for the lower mainstream of the river. “The four Mekong countries should jointly reach a decision on a go or no go for Xayaburi that is based on sound science and not on optimistic speculations,” concluded Dr. Meng. WWF urges Ministers to defer a decision on the dam for 10 years to ensure critical data can be gathered and a decision can be reached using sound science and analysis. WWF advises lower Mekong countries considering hydropower projects to prioritise dams on some Mekong tributaries that are easier to assess and are considered to have a much lower impact and risk. Access roads built at the Xayaburi dam site in Northern Laos. 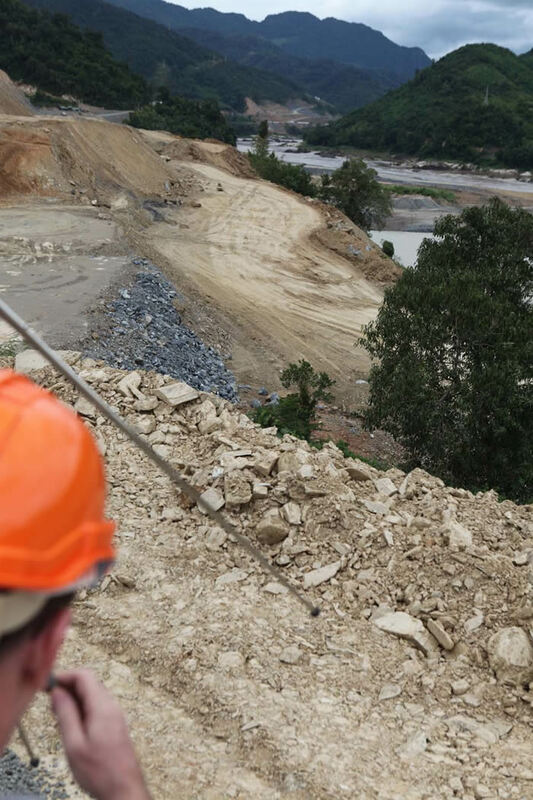 It’s clear construction is advancing at the Xayaburi dam site in northern Laos, with works currently concentrated on roads, slope stabilization and housing for workers. Delegates visiting the Xayaburi dam site heard presentations from Pöyry, the Finnish water consulting firm advising Laos on the dam engineering. 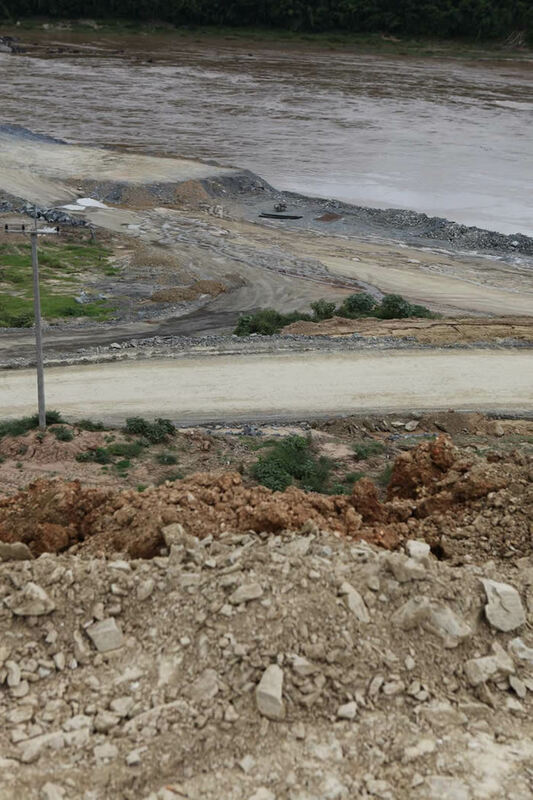 Construction work underway at the Xayaburi dam site in northern Laos. According to Mr. Viraphonh Viravong, Laos’ Vice-Minister of Energy and Mines, a coffer dam - used to divert the river’s flow away from the in-river construction site - will be built by the end of this year. 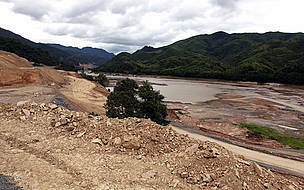 This will be the first direct intervention in the riverbed, and will mark a milestone in the ongoing dam construction.